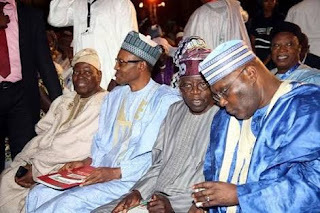 Home / Gist/Gossip / Nigeria / Politics / Could Atiku Be Working For APC & Buhari's Re-election? According to the new PDP Chairman, Uche Secondus, ATIKU IS WORKING FOR BUHARI AND APC. Congress and the motive behind his rejoining the PDP at a time decisions over 2019 general elections are yet to take shape. lead PDP to the rock in 2019.
source whom he said is very close to the presidency. party's ticket for the 2019 presidential elections. to stop Atiku Abubakar's spy-like activities in the PDP. the mercy of APC led administration in the country.